Hey peachy friends! It's Meghan from Keeping Up with Mrs. Harris. 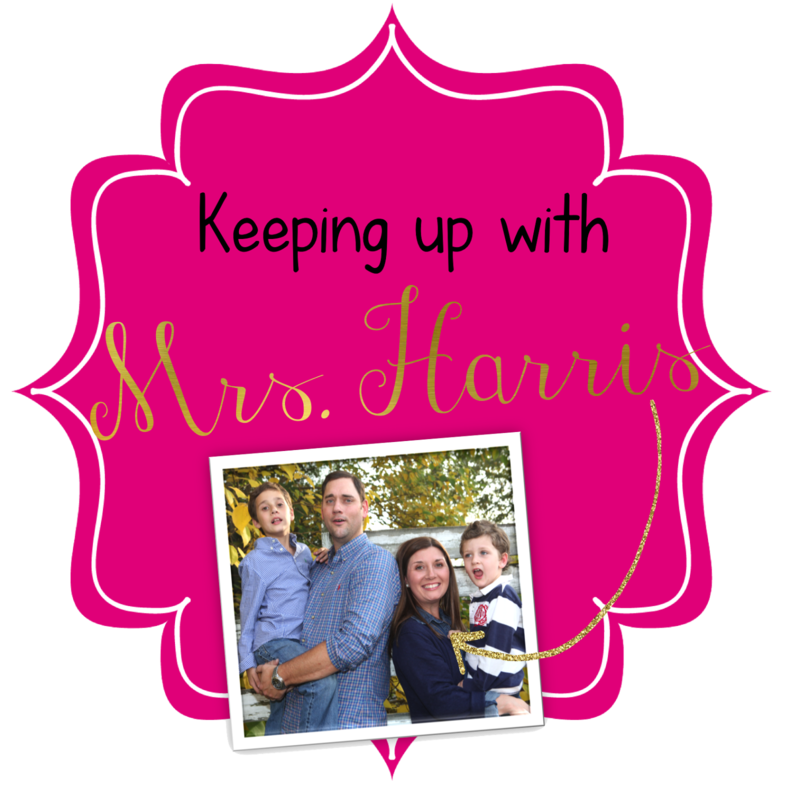 I am so excited for my first post on our collaborative blog. 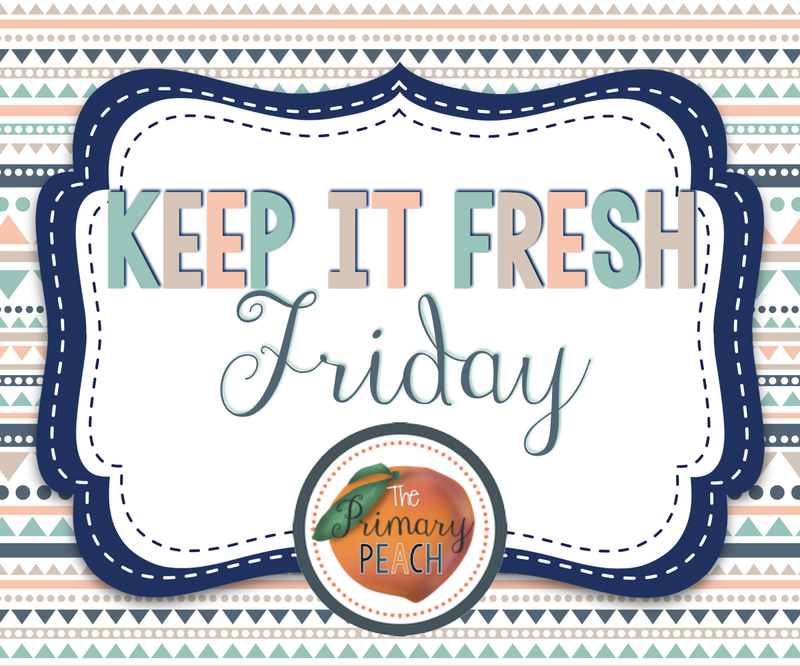 I am going to share a Keep It Fresh Friday tip to help with end of the year center organization for the next school year. If you are like me, at the end of each school year I feel like I am nesting for the birth of a new group of students. 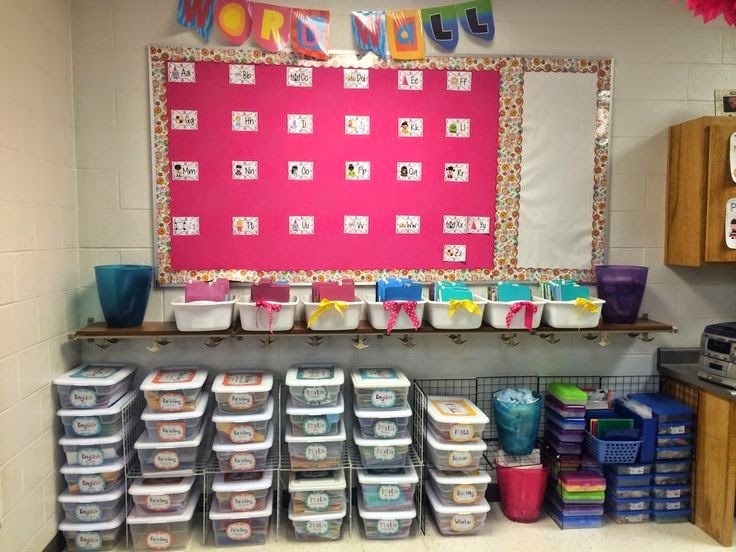 Out with the clutter and in with a fresh start of an organized school year! One of the most painful things to organize are centers!!! There are so many different sized pieces, direction cards, worksheets, etc. I tried many methods of organization including filing them away in a filing cabinet. That didn't work at all and left me with smashed paper dice, and the back of the drawer with all the missing pieces (there were even a few missing socks back there...conspiracy between the dryer and filing cabinet...they are out to get me). Hey friends! 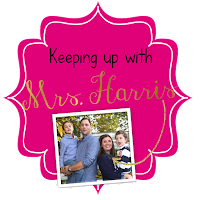 I'm Meghan from Keeping Up with Mrs. Harris and I'm going to share with you all how I organize all of my center games, activities, and unit materials. So for my first 4 years teaching, I thought I had the perfect system. I would start a unit and then as the unit went along, I put an extra copy of everything in a file folder labeled with that unit. Then at the end of the unit I put all the items in the same folder and pushed it into the filing cabinet. While pacing the aisles of Target trying to see what else I could shove in the cart without my husband seeing, it hit me! The perfect solution to my center organizational needs were Tupperware boxes! Two years ago in May (end of the year nesting), I started purchasing 3-5 boxes a week. I slowly started putting center materials in the buckets that we were finishing that week. Worksheets at the bottom, ziplock baggies and materials on top. Here's what my center buckets look like today! Here's a closer view. Nothing is crammed and all the pages are still looking great after 2 years. All the pieces are still there and very few things have been misplaced. As you can see some bins are full and others are not near as full. I think if I return to the traditional classroom in the future, I will probably divide out some of the buckets that are really full. Now that I am out of the classroom, I have my bins set up for checkout by other teachers. 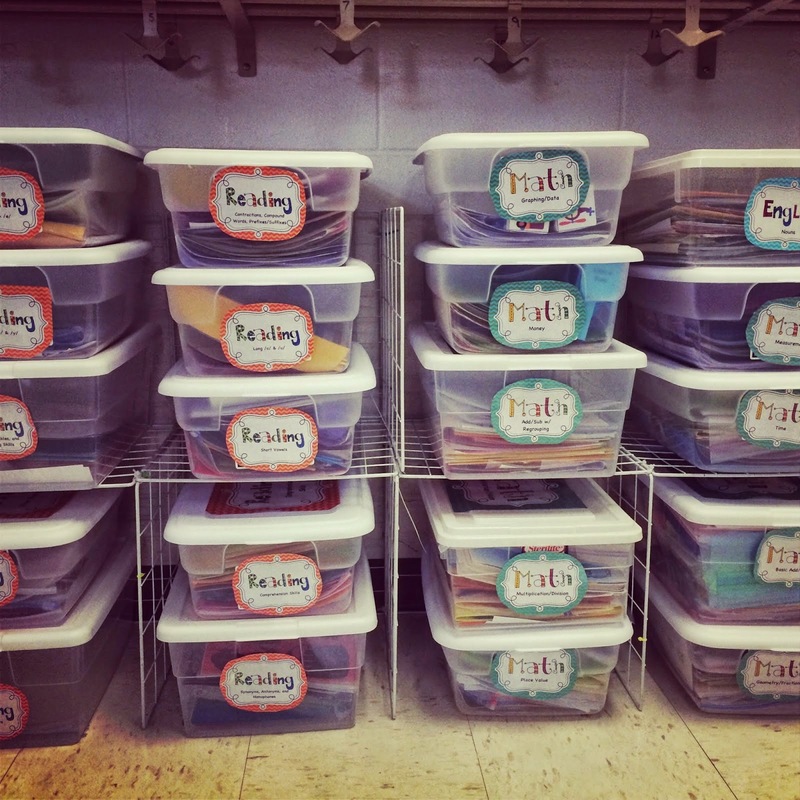 I can't tell you how many times this year my bins have already been used by fellow teachers who need a little extra supplemental materials. 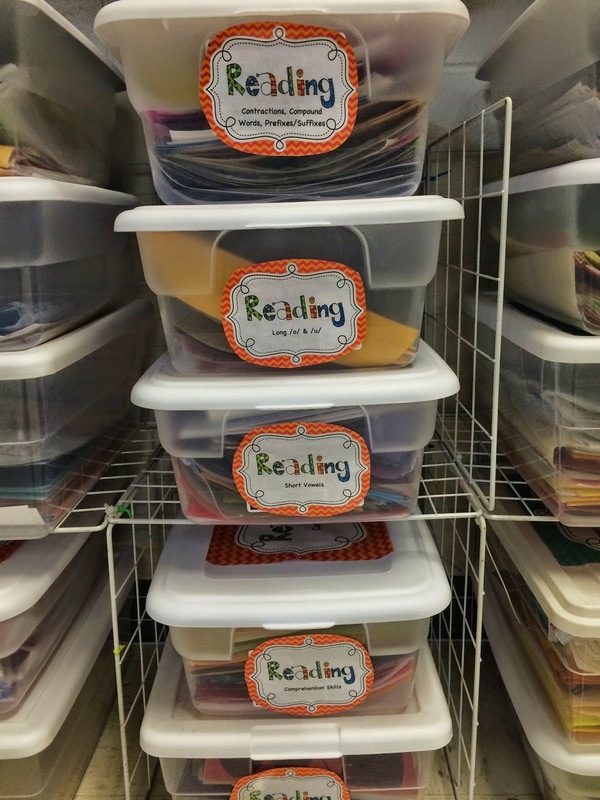 So "nesting" friends, take a trip to your local store and grab you a few boxes so you can change the way you organize your classroom center materials as well. Thanks for reading!